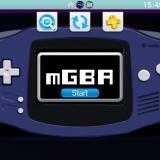 mGBA updated to version 0.7.0 and reRescaler released for the PSVita – You can now use the GameBoy Camera/Super GameBoy with mGBA and playing native PSVita games with screen filters is now possible! Modded Vita Homebrew Browser (VHBB) released that uses Wiki Vita Homebrew as a source – ONELua apps and other software banned from VitaDB can now be easily installed on your Vita! 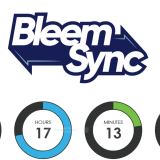 PlayStation Classic: BleemSync 1.0 release date fixed for tomorrow at 1PM GMT+1 – A big release with integrated RetroArch for more emulators, PC app for easier installation and faster boot times among other things! Emulation News: WINE 4.0 with Vulkan/DirectX 12 and game controller support released, yuzu gets shader caching support for better performance and DeSmuME gets more graphics rendering speed-ups! 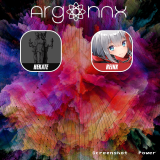 reF00D released for the PSVita / PSTV – You can now play FW 3.69 games on older firmwares without compatibility packs! PSVita Hacking @ 35C3: Summary of talk, F00D (Bootloader) key revealed and Team Molecule releases various decryption tools – Now, the PSVita’s security is effectively blown wide open! 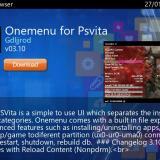 Sony PSVita firmware 3.70 released – Game decryption keys not changed so reF00D will still work with the latest games! Recent Vita Hacking News: TheFlow promises a hack for FW 3.69 in 2019, Memory card authentication busted paving way for USB memory card readers and PSM Dev Apps decrypted! Postal Vita released – GOING POSTAL on your beloved PSVita is now totally possible! Recent PlayStation Classic News: PPSSPP (PSP emulator) port released, tool to directly boot into RetroArch released and BleemSync to get exFAT and NTFS support! Offline PS4 Remote Play Patcher updated to work with the latest version of Remote Play on Windows – Remote Play without internet is as simple as a few clicks with new Auto-Patcher! 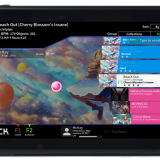 MemeKaku released for older PSVita firmwares – Now, you can hack your FW 3.55/7 PSVita and PSTV because CelesteBlue felt like it! A trip down the PSP’s past: Web Portals, the things that let us imagine that our PSP was something else! 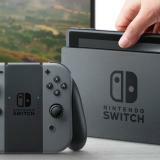 Switch Homebrew News: N64 Dynarec for the Switch seeing good progress paving way for better N64 emulation, In-Home Switching gets Audio support and NX-Shell 1.10 released with FTP support and more! 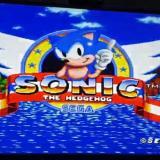 Emulation News: More Progress on PS2 RetroArch with fully working QuickNES core, melonDS 0.7.3 released and Status Update on BleemSync 1.0 (PlayStation Classic) which will come with a UI app for PCs and built-in RetroArch! Wololo.net © 2019. All Rights Reserved.